PATENT PENDING represents a highly customized 95' Hargrave completely refit in 2014/2015 to include brand new exterior paint, high gloss cherry interior throughout, new custom interior by Yacht Interiors By Shelley, new Garmin electronics, all new audio/visual along with 2015 15' Novurania, waverunners and overhead sail cloth with stainless rigging. She features a four stateroom layout with King size master with his & her bath, Queen VIP forward and two twin staterooms each with pullman berths providing accommodations for up to 10 owner's and guests. Her main deck layout features a comfortable salon with dining salon combination, gourmet galley and oversized aft deck. Full walk-around decks provide for privacy and ease of line handling. Crew quarters are aft with captain's cabin and over/under bunks. Powered by reliable Caterpillar 3412's, she cruises comfortably at 18 knots with 23 knot top end speed. 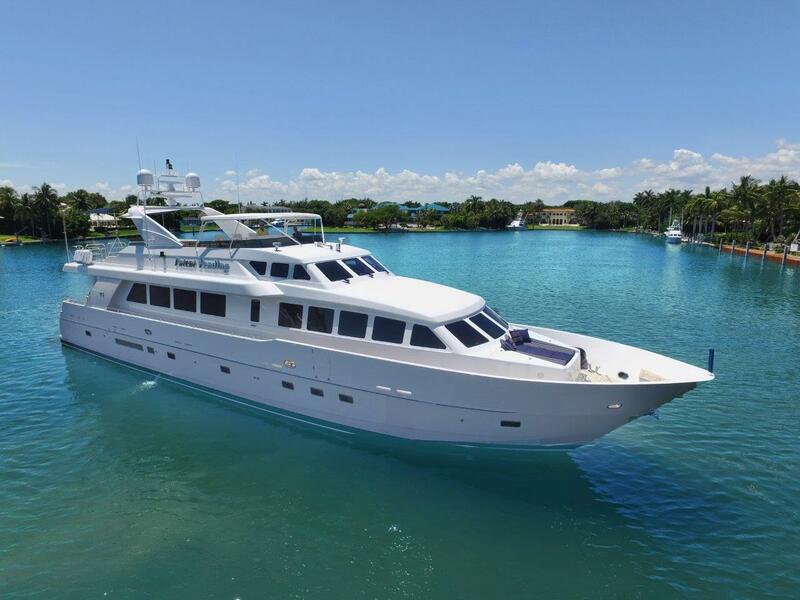 Additional large yacht options include Naiad Multi Sea 300 stabilizers, bow thruster, two Onan generators, 1200 GPD Village Marine watermaker and Headhunter waste treatment system. PATENT PENDING is captain maintained in excellent condition and available for convenient inspection!